Holding Georgian and EU flags, protesters alleged vote-buying and other irregularities as they packed Rustaveli Avenue in front of the parliament building in the centre of the Georgian capital Tbilisi. 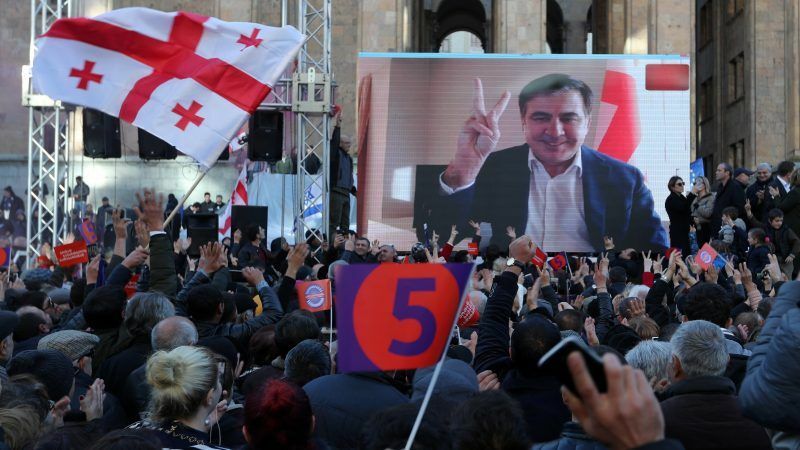 The former reformist president and leader of the 2003 “Rose Revolution” Mikheil Saakashvili addressed the huge crowd by video link from Amsterdam, where he lives in self-imposed exile. “Misha! Misha!” chanted supporters as the flamboyant 50-year-old politician appeared on a big screen. 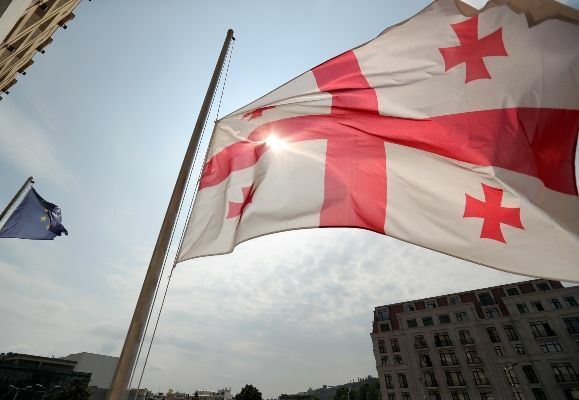 “Georgia’s future is being born on this square today,” said Saakashvili, accused by the authorities of abuse of power. “We will fight peacefully but we will never give up,” he said, flashing the victory sign at the end of his speech. 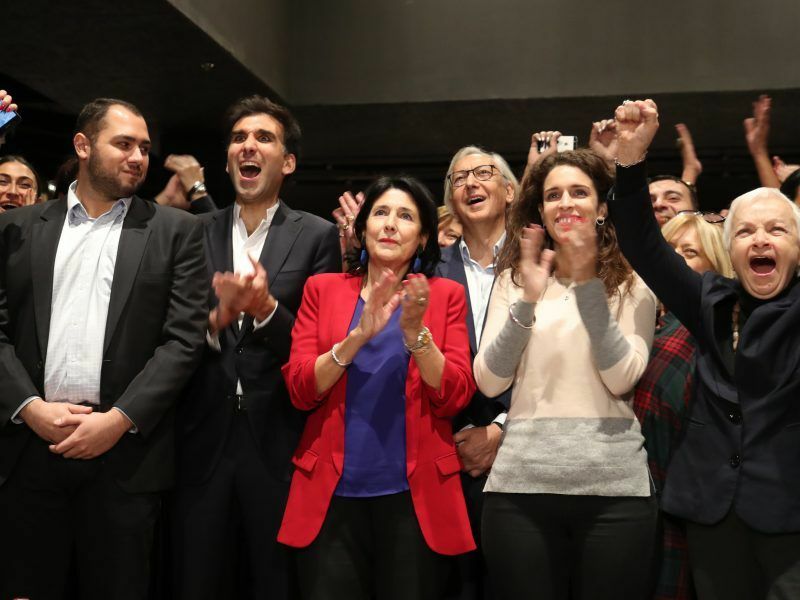 On Wednesday, former French diplomat Salome Zurabishvili was elected the ex-Soviet nation’s first woman president, beating a candidate backed by an alliance led by Saakashvili’s party. Zurabishvili has said her election was a step forward for women and a move closer to Europe. But opposition leaders including Zurabishvili’s rival Grigol Vashadze have refused to accept the result, pointing to instances of alleged vote-buying, voter intimidation and ballot-stuffing in the election’s second round. Fresh street protesters could spark concern for the country, which has seen civil wars, mass demonstrations and unrest since gaining its independence in 1991 with the breakup of the Soviet Union. The vote was the small South Caucasus nation’s last direct leadership poll as it transitions to a parliamentary form of governance. In the first round, held in October, French-born Zurabishvili failed to take the 50-percent-plus-one-vote needed to win outright. 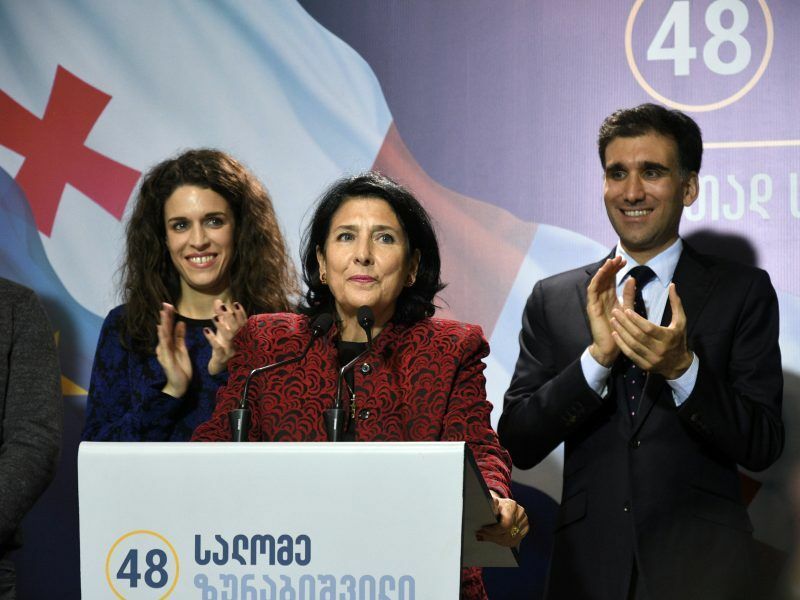 Ex-French diplomat Salome Zurabishvili has taken a slight lead in Georgia’s presidential election, seen as a crucial test for the increasingly unpopular ruling party, results showed on Monday (29 October). Ahead of the second round Vashadze was narrowly leading in opinion polls. However Zurabishvili gained more than 59% on Wednesday, while her rival topped 40%. The new head of state will be a largely ceremonial figure, but the vote was seen as a trial run for the contest between billionaire Bidzina Ivanishvili’s ruling Georgian Dream party and the opposition in more important parliamentary polls set for 2020. “Georgia does not have a president now,” Vashadze, a career diplomat, said to roaring applause from the protesters. He said the results of the “stolen election” should be annulled and snap parliamentary elections held. He said the authorities had to overhaul the country’s electoral system and by 16 December establish a working group to hold talks with the opposition. Many protesters accused tycoon Ivanishvili, seen by many as the country’s de facto ruler, of stealing people’s votes. “I am here to protest against election fraud,” Liana Partsvania, 63, told AFP. “People took to the streets today because the elections were rigged,” said another protester, 20-year-old Gia Mgeladze. The vote was also seen as a test of Georgia’s democratic credentials as it seeks European Union and NATO membership. Foreign affairs chiefs from Poland, Lithuania, Latvia and Ukraine met in Georgia this week to take part in commemorations marking 10 years since Russia’s invasion of the Caucasus Republic during 2008’s August War. Monitors from the Organisation for Security and Cooperation in Europe said the election was competitive but they also raised concerns about misuse of administrative resources. Tensions increased ahead of the second round, as the opposition accused the government of voter intimidation and claimed that ruling party activists had attacked Vashadze’s campaign staff. Zurabishvili in turn said she and her children had received death threats from people affiliated with Saakashvili’s United National Movement.